Lemonade and Lime Jelly from the Hairy Bikers. I have rather indulged in too many cakes and biscuits of late and wanted to make something a little less calorie laden. My sister has raved about the Hairy Dieters recipe book, which she has kindly lent to me. I will return - promise! Whilst looking through I found this perfect light low calorie dessert. 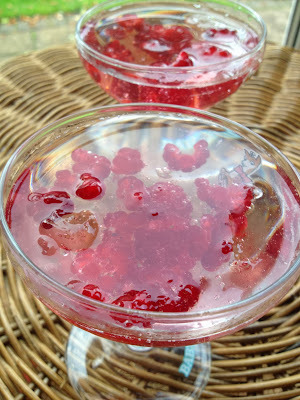 Sparking Lemonade and Lime Jelly recipe can be found on page 165 The Hairy Dieters cookery book. The recipe is for six jellies, I halved the ingredients and still made four small jellies. the recipe in the book suggested blueberries and raspberries. However I used a handful of raspberries from my garden (not many left now) and cheated and opened a tin of peaches! pour the lemonade into a jug add the gelatine mixture and stir, watch out this will fizz up. 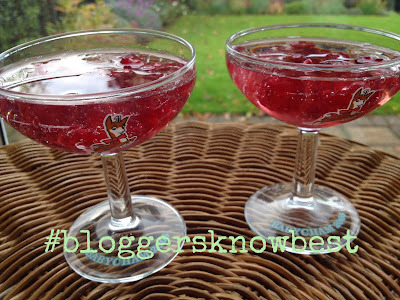 add the fruit to your glasses then pour in most of the jelly, keep some back but do not put this in the fridge. pop your jellies in the fridge to set for 3 hours, take out and stir the wobbly jelly this will activate the extra bubbles. Top off with the remaining jelly mixture you kept back. I liked this recipe it gives you scope to be creative. Using different fruit you may have growing in the garden, or which tins of fruit are in your cupboards. 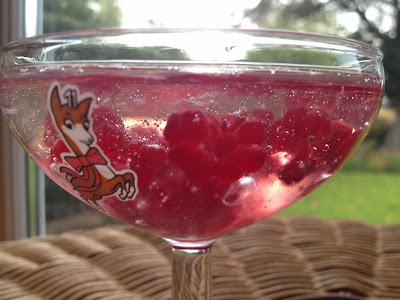 I thought I may try this with tonic water, ginger ale or of course champagne. Obviously you will need to watch your ingredients if you still want to maintain this dessert as a diet option. 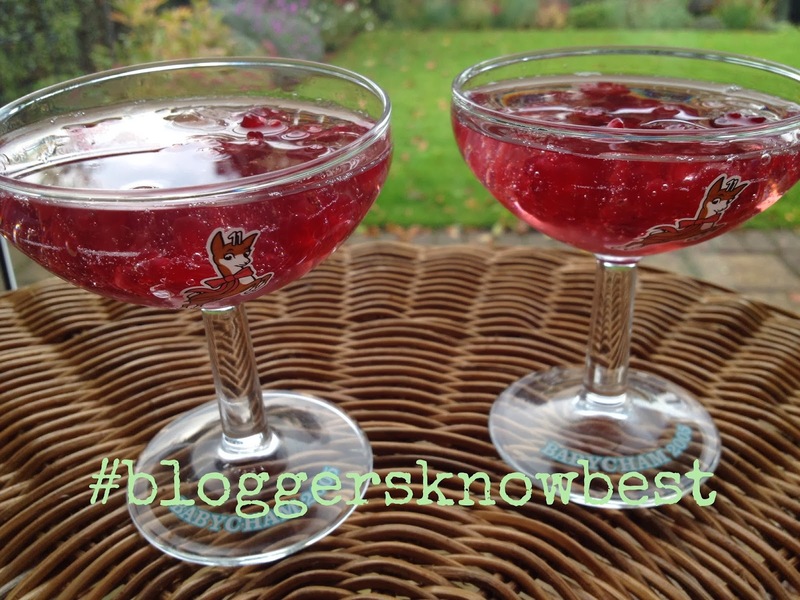 This post is part of the Hairy Bikers Bloggers Know Best Challenge #2 hosted by Jo's Kitchen. I've both books! Cooked my way through both. Blogged a few of the recipes. Lost a few pounds, the portions are decent and the family eat it too!! Jellies look yum! , j'ai une fois de plus découvert de nombreuses choses intéressante en me rendant ici.